Erick Harcey is adding to his portfolio. 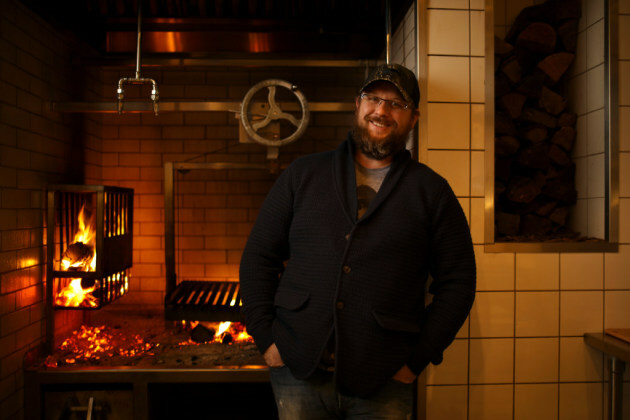 The chef behind the three Minneapolis restaurants -- the critically lauded Upton 43 (it was the Star Tribune's 2016 Restaurant of the Year) in Linden Hills, northside neighborhood favorite Victory 44 and the Dirty Bird, his takeout roast chicken counter in the back of Upton 43 -- announced that he's opening a fourth, also in Minneapolis, in 2018. The details are slim, but one that's nailed down is the location: a new development at 46th and Hiawatha, near Minnehaha Park. The proposed project, by the property development firm Oppidan Investment Co., is set to include 146 market-rate apartments, a supermarket and Harcey's restaurant. The site is located near the Blue Line light rail's 46th Street station. The restaurant's overall concept is still in the works. It's the second restaurant project announced for the neighborhood. Earlier this year, former Piccolo chef Doug Flicker announced his plans to remake the Sunrise Inn into the Bull's Horn Food & Drink.